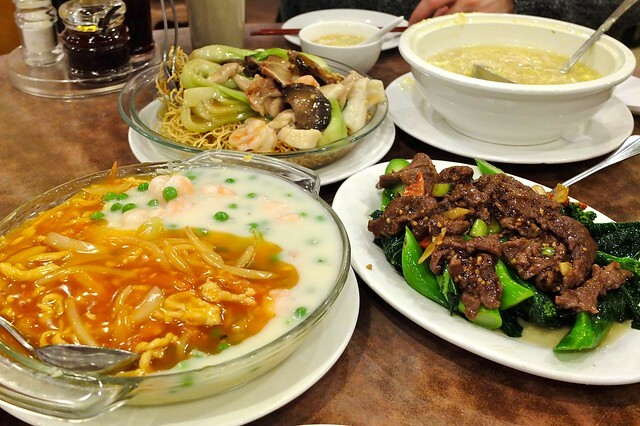 Chinese food for dinner at Congee Noodle House on East Broadway on January 20, 2012. I love Chinese food. Growing up in a Vietnamese household, it was always a nice treat. It was like comfort food to me. I also love Chinese leftovers. 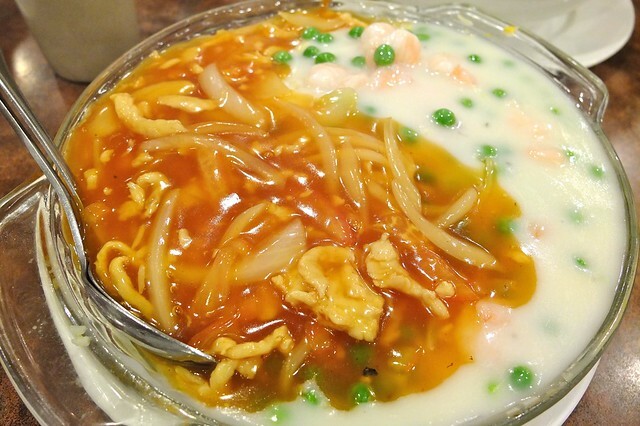 We hit up the aptly named Congee Noode House for some quick grub. 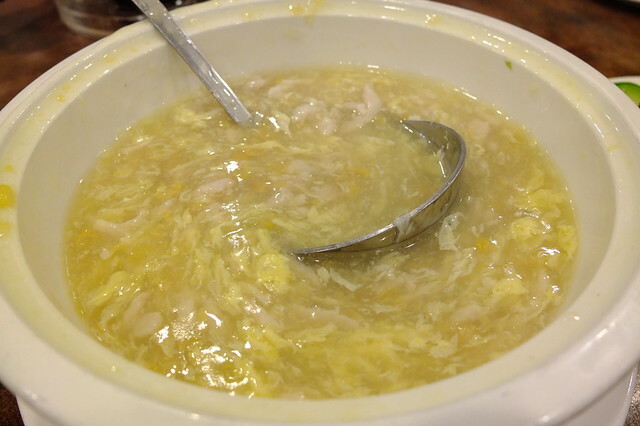 It was standard yet oddly delightfully filling starting from the tasty, creamy soup with corn and egg. Another favourite is always the honeymoon fried rice complete with yang and yang style sauce. I'm more of a red guy. 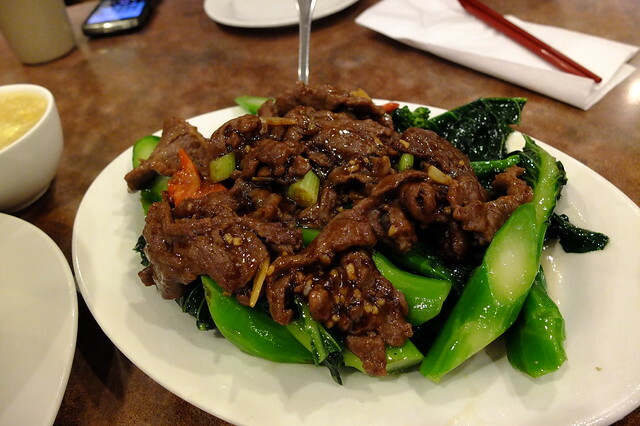 Beef and gai lan is a staple of the Chinese diet and it was pretty much what you get anywhere. Add to that some house special chow mein and we covered the basics pretty well. 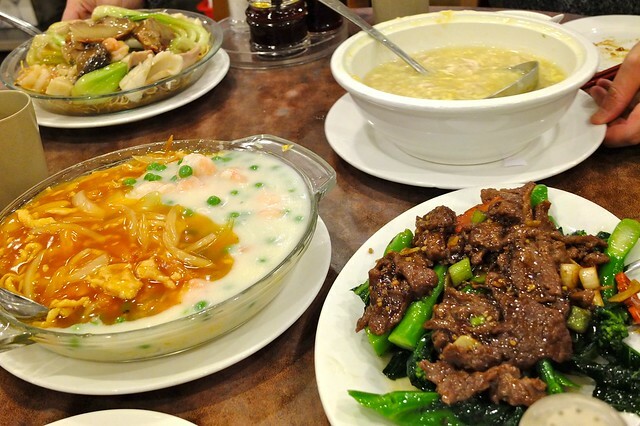 CNH is a good place for solid Chinese food and a decent meal.